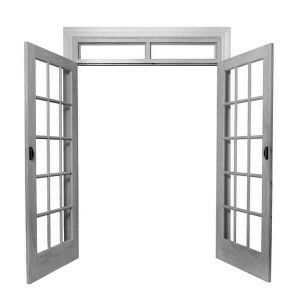 French doors consist of one or two hinged casements designed to swing open like a window and are most typically used for balconies and patios. They link your interior with the exterior and create a larger uninterrupted space than a standard door making them ideal for areas with more traffic such as access to the garden. Neuffer offers a range of customization options including colors, styles, materials, glass, hardware and more. 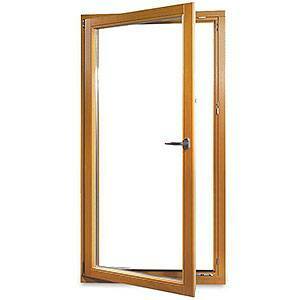 Regardless of what you choose, your French door will be designed and built specifically for your project. 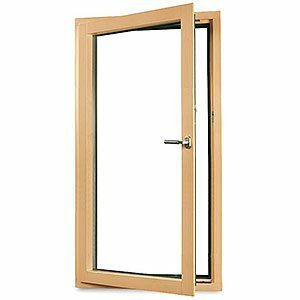 French doors come in single and double leaf versions which swing inwards or outwards on hinges in the same way a casement window would. Each door features a large glazed surface which provides lots of natural light and great views while allowing easy access the exterior. With both doors open, they offer a larger uninterrupted opening area which is ideal for balconies, bedrooms and areas that get more traffic such as patios or gardens. In many spatial situations, there may not be sufficient room for tilt-and-turn systems. 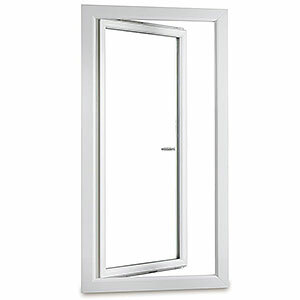 The size of the installation area available plays a large role in determining what door types are available. French doors are ideal for medium spaces that are bigger than a single entry door but perhaps too small for sliding doors to make sense. 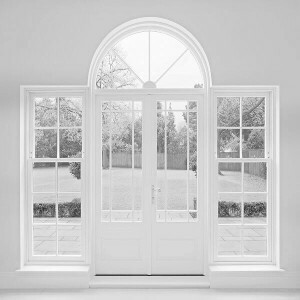 They can also feature sidelights and transom windows above meaning they offer a great deal of flexibility for fitting any location. With a simple turn of the handle, each of the two doors swing open immediately creating a large open area, and importantly, using all of the available space. Sliding doors in contrast always leave half of the overall space closed. Bi-fold doors also open to 100% of the available space but are suited for large wall openings not found on balconies or many patios. Neuffer offers a range of custom options to ensure that we can offer a bespoke solution for your project. This begins with your choice of frame material and continues to style, glazing, finish, colors and hardware. Non-standard shapes such as arches are available and muntins can be integrated for a more traditional look. On the other hand, minimal, aluminum clad options can create a sleek contemporary look. We offer two main materials, wood and vinyl as either stand alone or aluminum clad. Each option offers a different set of features. Vinyl is well suited to those on a tight budget while still offering most of the same customization options. It can be upgraded to improve thermal performance and security as required. wood boasts great insulation and strength without additional reinforcement, foam or internal chambers. It provides a traditional and natural look for any home while requiring a bit more upkeep than synthetic materials. We offer a wide selection of hardwood and softwood including oak, cherry, larch, meranti and much more. Aluminum cladding represents the best of both worlds. For those on a stricter budget, aluclad vinyl provides solid security, durability, insulation and aesthetics at a great price. For the ultimate bespoke solution and premium aesthetics, aluclad wood frames are second to none. 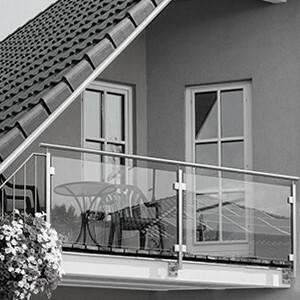 They feature a sleek modern look outside and robust weather resistance. This adds up to minimal upkeep over the years while retaining the cozy look of wood indoors. Vinyl frames are available in a large selection of RAL colors as well as decors to mimic wood for example. Our solid wood frames are available both in the entire RAL color palette as well as a range of natural stains and finishes. Aluminum is also available in the RAL color range applied to the anodized surface via powder coating. 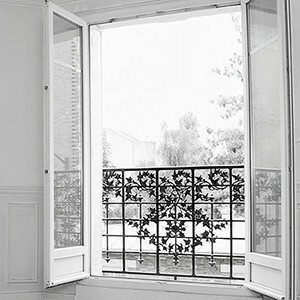 French doors typically feature large glass surfaces to provide the most natural light possible and the best views. Since most of the doors' total surface area is glass, your choice of glass plays a major role in overall energy efficiency, U-values and security. 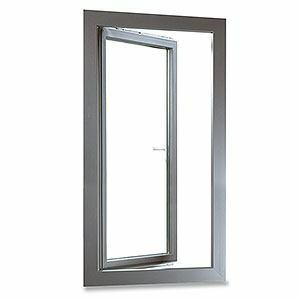 With external doors, it is important to ensure that energy is not lost, whether that be cool air in summer or warm air in winter. 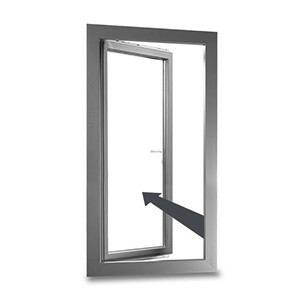 Choosing double or triple glazing will go a long way towards ensuring this as will optional non-conductive warm edge spacers and argon filling between panes. Large glass surfaces can be a potential vulnerability depending on their location. 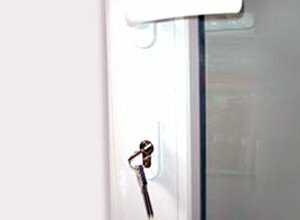 A second or third floor balcony door presents little risk while ground level doors should be configured with further security options. 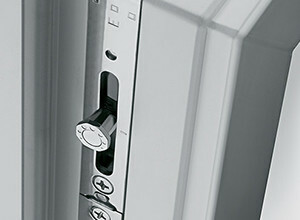 These include multipoint locking, locking handles and concealed hinges. 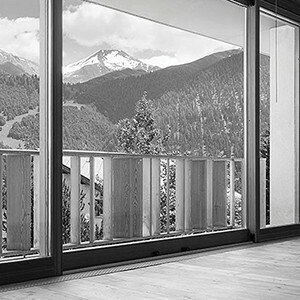 Laminated safety glass should be installed on the outermost pane at least in order to provide an added layer of security and make breaking the glass difficult.